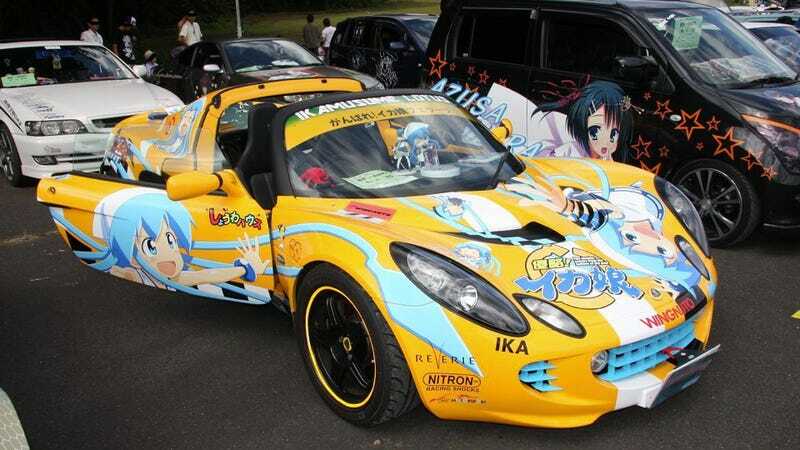 "Itasha" (痛車) literally mean "painmobile", but they are Japan's sticker-covered geek cars. The decals often feature anime, manga or video game characters. "Ita" either refers to the pain inflicted on the wallets of the car owners—or the folks who see the cars. This month, there was the "Ita Fest in Tohoku". Tohoku, of course, was hit hard by 2011's earthquake and tsunami, so it's great to see car lovers (and geek lovers) once again gathering and showing off their nerdmobiles. Japanese blogger Yonchin was on hand and snapped a whole bunch of pictures of the cars.